A barrage of emails, status updates, app infos, and other types of notifications can be very interrupting. It can also ruin your music listening experience with non-stop pausing and un-pausing. But you don't want to silence notifications completely, either – you might miss out on something important, after all. What's a humble smartphone user to do in such predicament? Install Don't Pause, set, and forget! 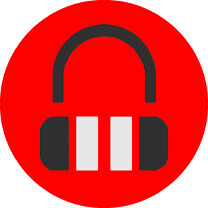 This app is designed specifically to keep your device from interrupting your favorite tunes. You probably know how Android pauses the music and plays the notification when you receive a text message, email, or whatever it is you're getting. Don't Pause knows how to teach the operating system to stop this mischief. The app launches as a service and runs in the background. When you are playing music, it will automatically put your notifications on 'vibrate'. And when you're finished with your listening session, Don't Pause will automatically change your settings back to the normal ringer. There's no need to configure anything specific, downloading the app and starting it up is all it takes to stop notifications from interrupting. Still, there are some settings you can tweak at will. You can choose whether to set the ringer to normal if you stop the service with music playing. You can also opt to only silence the notification stream. There are some Pro features available as well, at a lowly $0.99 price of admission. Don't Pause can start automatically when headphones, USB, or Bluetooth are connected. And there's also the option to disable advertising. Good sport! For the most part, Don't Pause is free and available from Google Play. Mind you, some users complain that the app won't turn notification alerts back up once you're done listening. It is not guaranteed to pull off its magic on each and every Android device, so your mileage may vary. Same here, except I use Automagic. But this is good for anyone who doesn't need a full-fledged automation app. I too automate this but not for music... I do it to watch movies on TV and not receiving notifications with Smart Connect.